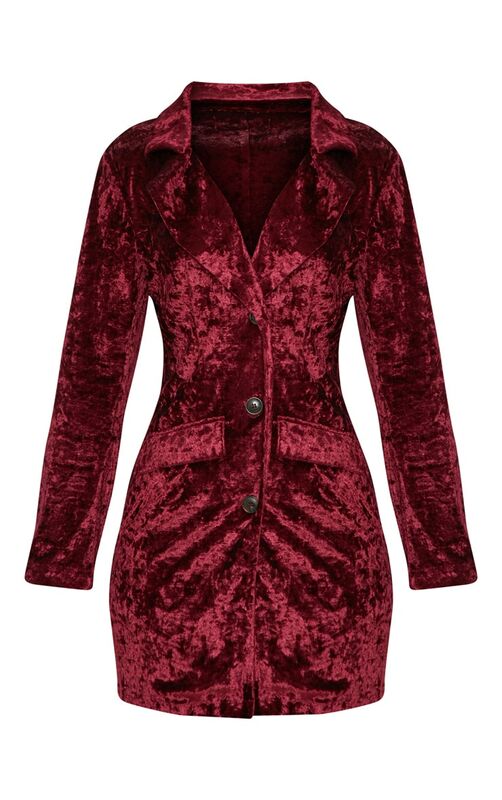 This blazer dress is perfect for this party season. 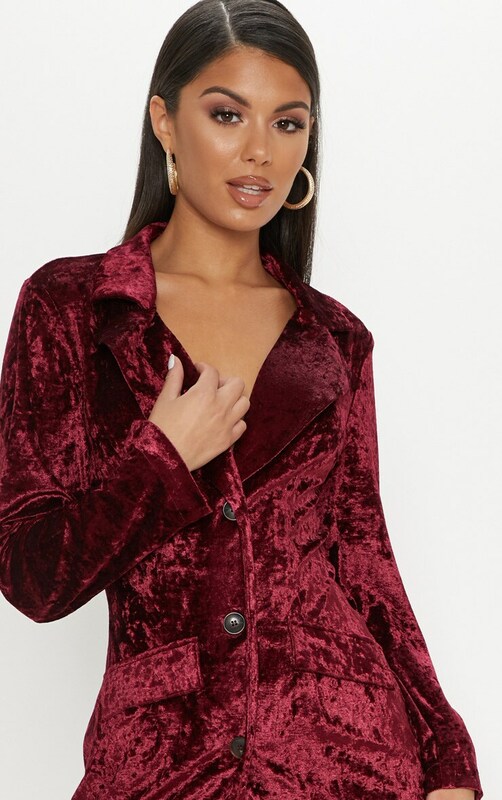 Featuring burgundy crushed velvet fabric, button fastening and pocket detailing. 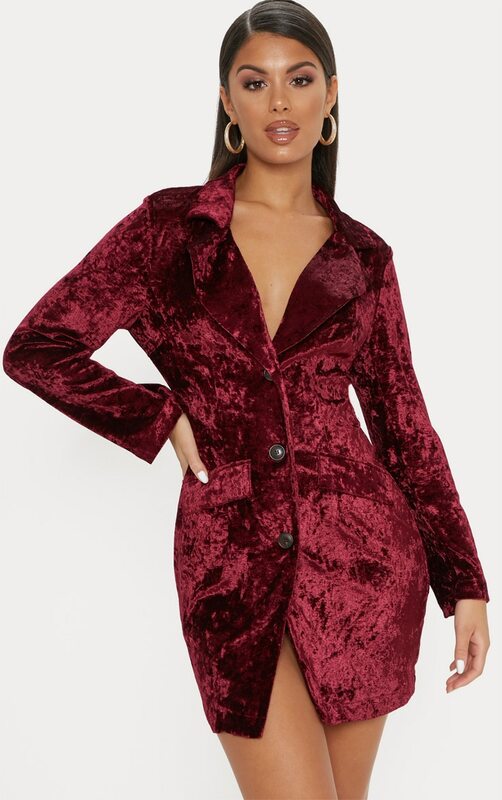 Style with gold strap heels and accessories for a Christmas party style we've loving.